CU Gujarat Application Form 2019 – Candidates seeking admission into various courses and programme for this session have to fill online application form from the official website www.cug.ac.in as per schedule mention below. Those who will fill their application form may download their admit card. Online computer based entrance Test for various courses offered by Central University of Gujarat will be conducted at 35 centres across India. Those who want to appear in the examination may fill their application on or before the last date. Programmes relevant eligibility, entrance test fees, mode of payment details is available here. 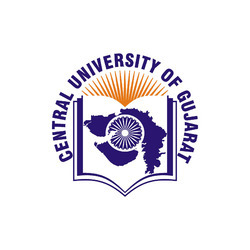 Latest: Application Form for Central University of Gujarat Admission 2019 has been released. Candidates can apply online from the link provided below. Candidates can fill their application from the official website www.cug.ac.in before the last date. Candidates can also fill their application form the direct link is provided below as per official announcement. Applicants should be ready with his/her excellent quality and latest digital photograph and signature of size between 10KB – 150 KB and 5KB – 150KB while applying. The photograph should not be a SELFIE clicked from a mobile phone and should be clearly visible. The same photograph will be in the University records for the entire tenure of the student with the University. Applicants will receive SMS and Email alerts at the time of registration and also after completing the registration. 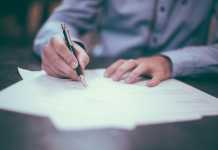 Applying for more than one academic programme: Candidates can apply for a maximum of three programmes in the same application form provided they are eligible. Candidates, however, should check the Entrance Test Schedule and ensure that there is no clash in times in the programmes optained for. 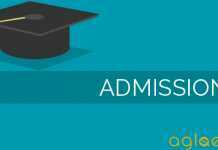 Insofar,Central University of Gujarat Admission 2019 has only released the application form, seat matrix, and fee details. Important dates and official brochure has not been announced yet. Information on this page is based on last year information brochure and for reference purpose only. As soon as Central University of Gujarat Admission 2019 will release the brochure, information will be updated here.